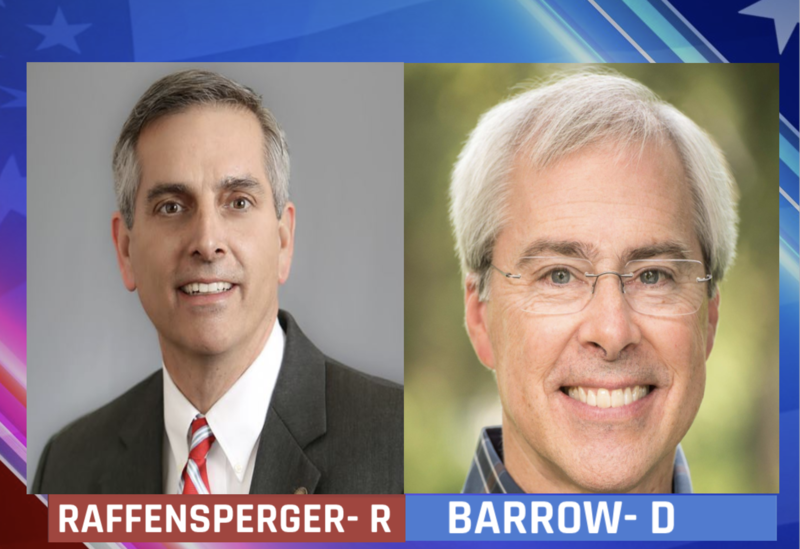 Democrat John Barrow and Republican Brad Raffensperger will face off in Tuesday’s runoff election for Secretary of State. Neither candidate got 50 percent of the vote in the general election last month. Raffensperger led Barrow by 16,539 votes. Grady Newsource compiled information about where the candidates stand on the issues. Republican Brad Raffensperger has focused his campaign on strengthening voter ID laws, maintaining Georgia’s voter registry and improving paper ballot verification. Currently, he is the CEO and owner of Tendon Systems LLC, a contracting and engineering design firm. He previously served two terms in the General Assembly. Democrat John Barrow’s campaign is centered around paper ballot verification and updating Georgia’s voter registry. He also wants to increase access to the polls and reduce voter fraud. Barrow is a former Athens-Clarke County commissioner and served as Georgia’s 12th district congressman until 2015. Caroline Elliott is a senior majoring in journalism.